Notable for... Using AV to implement Paypal Shopping cart. 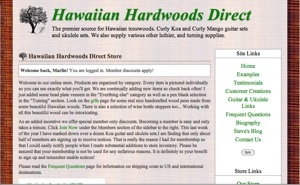 Hawaiian Hardwoods Direct supplies tonewood to luthiers worldwide.